Everyone on MTV’s The Paper needs to stop being mean to Amanda. She might be a little awkward and overbearing now, but this girl is going to take over the world one day. Her paper-mates need to stop hating, start recognizing, and put their tudes in check. Amanda is kinda awesome. It’s just sad that nobody sees it yet. The Real World is filming it’s 21st season in Brooklyn, and it’s setting my tummy a rumbling. I’m not quite ready to see a place I called home for four years all gussied up on MTV. Despite the Bed Stuy welcome wagon that robbed me and punched me in the face not soon after moving in, Brooklyn is in my heart. It is sacred, and I love it, and I don’t think just anyone deserves to live there. Take this current Real World season for example. We have a singing stripper who is cool as hell, but then a couple southern dummies and a not quite so dumb religious dummy who hate on her. As usual, the guys aren’t that bad, but I wouldn’t let any of them come within twenty miles of my favorite borough. I would probably let the stripper visit, but only because we have the same name. When I think of Brooklyn, I think of people who had to work hard to get there. I know times are changing, and gentrification is taking over, but nothing about The Real World being in Brooklyn will result in goodness. More people will be priced out of there apartments, and more mom and pop shops and bodegas will be replaced by Quiznos and Bank of Americas. Not to sound like a pretentious b-i-t-c-h or anything, but this news really rubs me the wrong way. I know I will watch every episode of the season, however I don’t have to be happy about it. It is 8:30 pm on a Friday night and BRIANNA, already in her pajamas, stands pouring a bag of popcorn into a bowl. She looks inside the bag and sees two lone kernels. If I were the last two kernels in the bag, I would want to be poured out. BRIANNA proceeds to fetch the last two kernels, and throws out the now empty bag. If you see me twirling my hair, please tell me to stop. If I don’t stop, I give you permission to use violence. 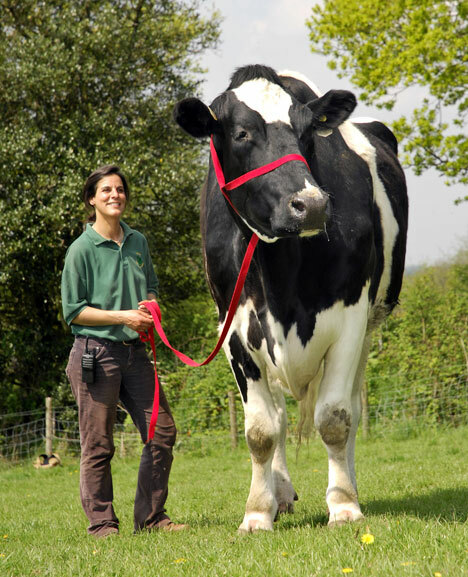 PS- Did you see this giant cow? Cause when I go yachting, I never forget my hard hat. If you are trying to last an extra day without washing your hair use BABY POWDER. If you use BAKING SODA, your hair will be gritty, prematurely gray looking, and just as greasy as it was before. I don’t know what kind of dummy would pour BAKING SODA all over her head… certainly not me… but just in case you were wondering, I wanted to clear that up for you. It can be very confusing. Go BABY POWDER.